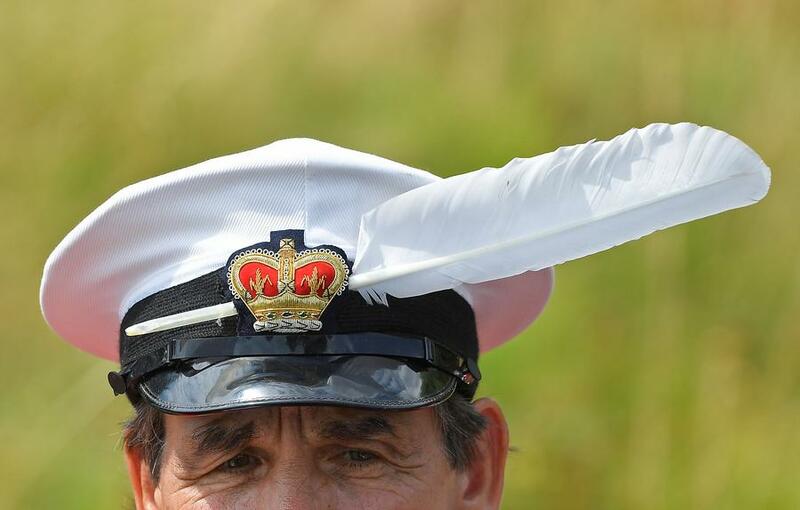 CHERTSEY, England - An 800-year-old tradition of counting the swans owned by Britain's Queen Elizabeth started on Monday, an annual ceremony of "swan upping" that in modern times has become a means of wildlife conservation. 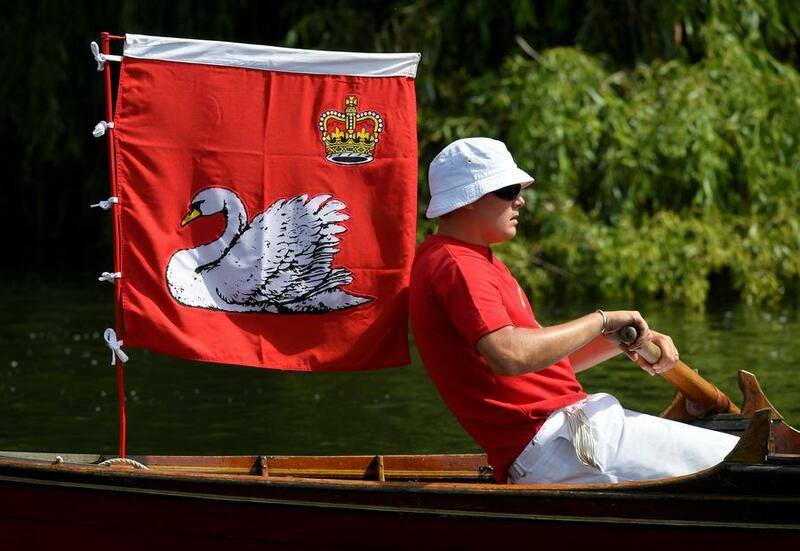 The upping sees three teams - one representing the queen and the others the old trade associations of the Vintners and Dyers - patrol the River Thames in south England over five days to capture, tag and release any families of swans with young. The upping dates back to the 12th century when the English crown first claimed ownership of all mute swans, then considered a delicacy that would be served at royal banquets. Britons no longer eat swans and the birds are protected by law. Last year's count showed there were 132 new cygnets on the Thames, reversing a declining trend in previous uppings. The queen's team of uppers, in red shirts emblazoned with her royal logo, were directed on Monday by a "swan marker" wearing a gold-embroidered ceremonial blazer, David Barber. "The law states that the queen can own any swan swimming in open waters if she so wishes, but she mainly exercises that right on the River Thames," Barber said. 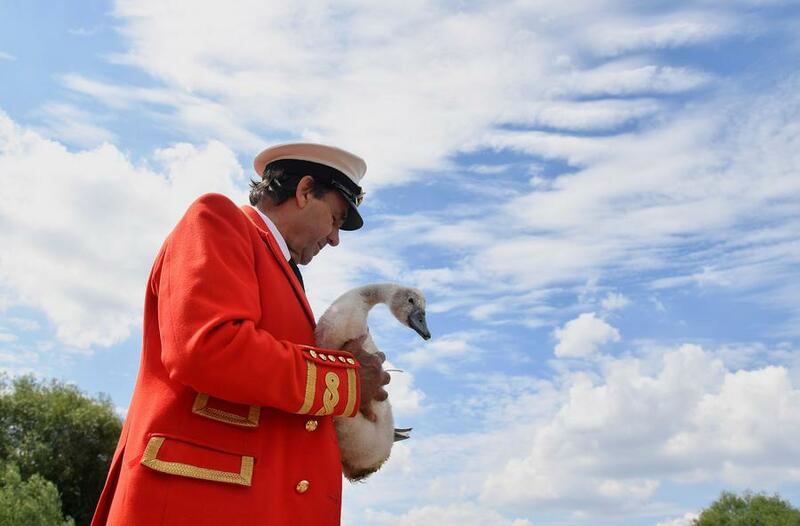 "Today swan upping is about conservation and education," he continued. Schools were invited to view the upping at close quarters, during which the birds are ringed with individual identification numbers for conservation purposes.